Today, we are going to share with you valuable information regarding rooting and how you can install TWRP Recovery, and easily root Wiko Fever 4G. This post is especially for those users who have never tried to root their device thinking it is very complex and risky procedure. As opposed to most myths, rooting is a really easy task and can be performed by anyone whether it is a high-tech programmer or a casual Android user. Once you root your device, you will have access to an abundance of options to tinker with the settings, customize it, delete the bloatware, and more. 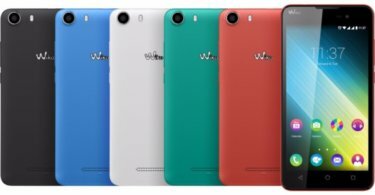 While most people might not have heard about Wiko, it is a decent brand which comes with some really cool devices. Wiko Fever 4G is powered by a Octa-core 1.3 GHz Cortex-A53 CPU processor coupled with 2/3 GB RAM. The device comes with 16 GB internal storage + microSD (up to 64 GB).It is has a large 5.2-inch IPS LCD capacitive touchscreen (1080 x 1920 pixels, 424 ppi) display. It sports a 13MP rear camera and supports Wifi, GPS, 3G and 4G LTE. It houses a Li-Po 2900 mAh battery.The device runs on Android 5.1 Lollipop out of the box. In case you are a Wiko Fever 4G user who has been looking to root their device for quite some time but hasn’t been able to pull it off due to lack of information on this topic, then this post will be highly beneficial for you. Here, we will give you the basic information that you need to have before you root a device. We will also be giving you the answer to questions like what exactly is rooting? How is rooting beneficial? How to root an Android device? Rooting WIKO Fever 4G gives you additional benefits like you can install special apps, flash custom ROMs, you can streamline your phone performance and many extra features. The real performance of an Android smartphone can only be unlocked once it is rooted. Rooting your WIKO Fever 4G, lets the user flash different Custom MODs, ROMs, and such stuff onto the device. Now here we come with a full working guide on how to install TWRP Recovery and Root WIKO Fever 4G . While rooting you have to be very careful and proceed with great caution, anything wrongs you may get your device bricked. Rooting is the process of gaining full admin control of the Android device. You can use the device to its full potential, ‘Rooting’ means giving yourself special privilege or “root permissions” on your phone. It’s similar to running programs as administrators in Windows. After rooting your device you can install different MODs, kernel, ROMs on your device. You can install latest Android updates (like the Android 6.0.1 Marshmallow) On old device by installing third party ROMs like CyanogenMod 13.You can overclock the CPU and GPU of your device to get the best performance. You can hibernate any app you want. You can underclock the CPU to get better battery life. TWRP is a custom recovery for Android. It is the most popular Android custom recovery. It replaces the stock recovery On Android devices. It comes with many extra features compared to the stock recovery. It needs the bootloader to be unlocked. If your bootloader is locked then check out the guide here > How To Unlock Bootloader Of Any Android Using Fastboot. 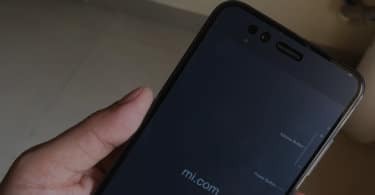 Some devices like Xiaomi and Huawei phones need a unlock code. rootmygalaxy.net will not be held responsible for any kind of damage occurred to your device while following this tutorial. Do it at your own risk. This will void the warranty of your device. After that, you have to download the Download TWRP Recovery (2.8.7.0 – Android 5.1 Lollipop) or Download TWRP Recovery (3.0.2.0 – Android 6.0 Marshmallow) and transfer it to your WIKO Fever 4G. That’s it. Your WIKO Fever 4G has been rooted successfully. Keep reading roomygalaxy for more news and updates. Note: Images used in this post are not owned by us, these are properties of respective owner.